For decades, people have been able to pick up a comic book at their favorite shop and read it. When I was a kid, I never really got into this trend. However, I did buy a few comics in my day, but I would never consider myself an expert on the subject. For that check out Greg Mehochko's Nerds United podcast on the Jittery Monkey Podcasting Network. Baseball cards also have a rich history but are another medium I never invested in. However, I still have a TON of WWF trading cards from the mid-1980s. 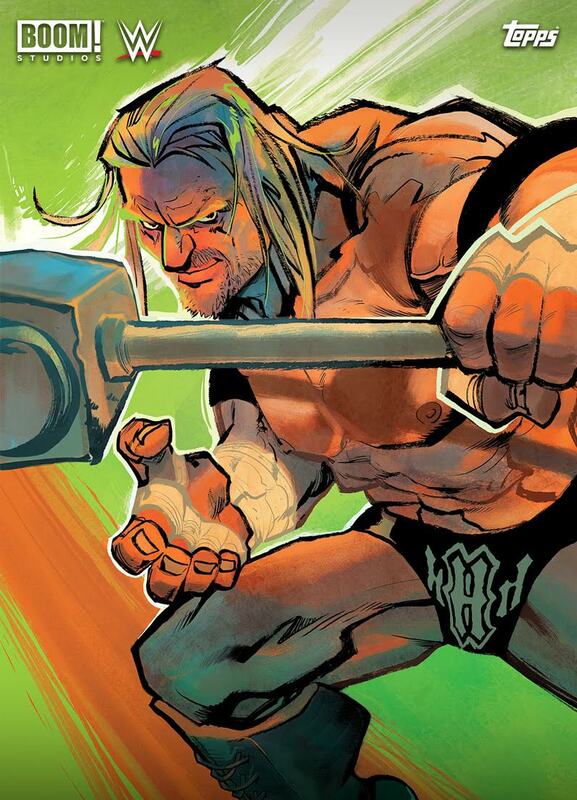 On Wednesday afternoon, I received a press release from The Topps Company that they've teamed up with BOOM! 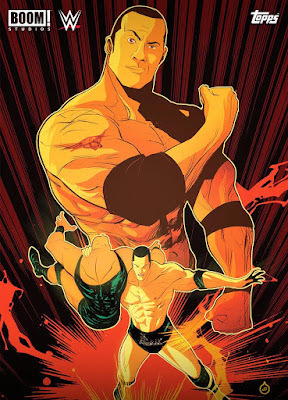 Studios on creating a WWE Comic Cover Card Set. Instead of going to the store to pick up cards or comics, they're now available on your smartphone or tablet. This week Topps debuted seven "Then, Now, Forever" covers. 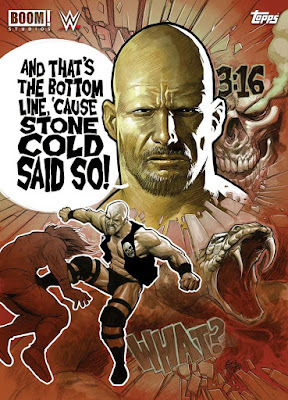 "Stone Cold" Steve Austin, the Rock and Dean Ambrose are among the Superstars included. The company goes on to say starting in September, fans can get new covers each month from BOOM! 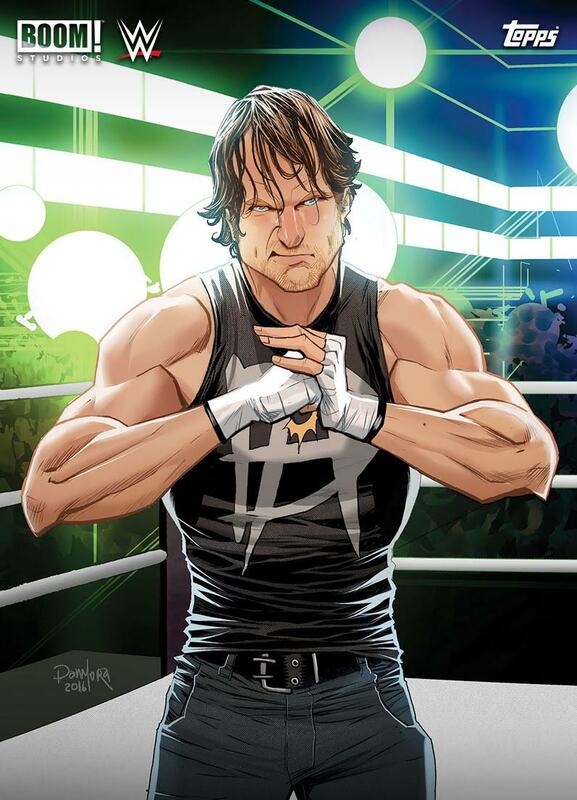 Studios WWE comics. Classic covers will gradually be added to the collection too. Topps WWE Slam is an official trading card app of WWE and is available in the App and Google Play Stores. 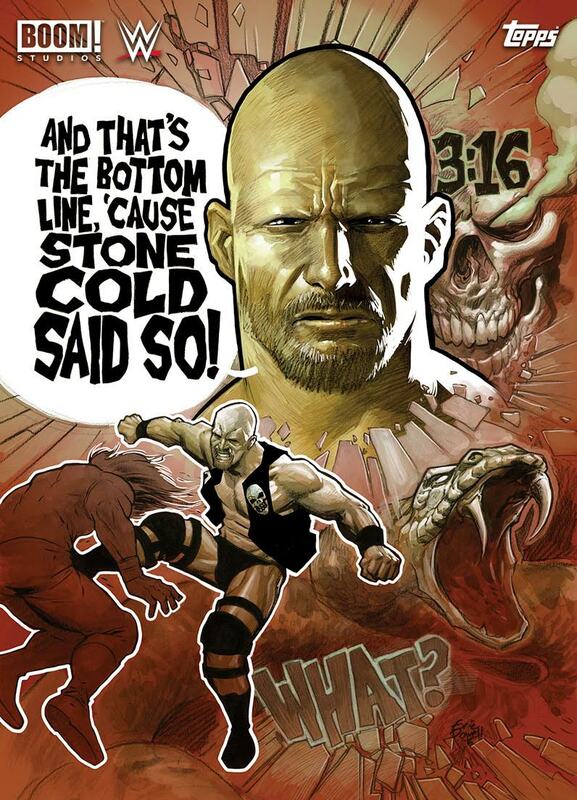 The comics by BOOM! Studios look amazing. Even though I don't buy or read comics, I appreciate the work that goes in to putting them together. The story of a recent copy did make me chuckle, as this was the synopsis: "With the help of Sasha Banks, the Lunatic Fringe embarks on his own fury road to snag the Money in the Bank briefcase that is rightfully his." I'm curious how the story ends. The card collecting seems timeless still as well. Topps has more than just baseball and WWE cards. There is even a collection hyping the upcoming match between Floyd Mayweather and Conor McGregor. It's definitely worth taking a closer look at on these links.